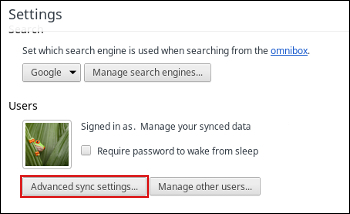 How Do I change the sync settings on my Samsung Chrome PC? 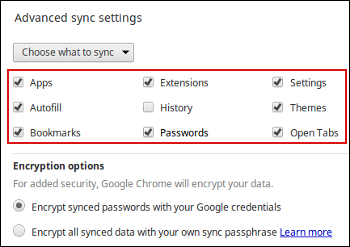 Synchronisation is an integral feature of Chrome that stores your settings, bookmarks and open tabs in the cloud. With synchronisation enabled you can sit down at any computer that has the Chrome browser installed or any Chrome OS device and instantly have a familiar environment. 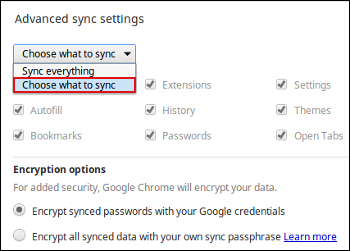 Note: disabling synchronisation removes one of the major benefits of Chrome OS. While removing the feature will not prevent you from using your Chromebook, any installed extensions, bookmarks, themes and open tabs will not be backed up if your account is deleted or your Chrome PC gets stolen, misplaced or destroyed. 1. Log in to the account on which you wish to disable synchronisation. 2. 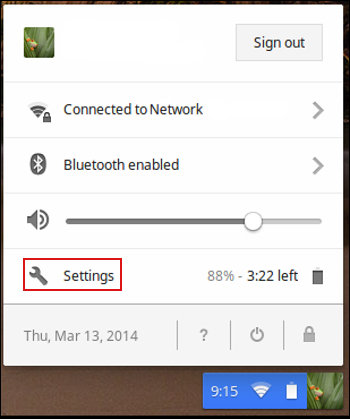 Click on the taskbar in the lower right corner and select Settings. 3. Click Advanced sync settings... under Users. 4. Click on Sync everything and select Choose what to sync. 5. Click the check box next to any of item you wish to stop syncing and then click OK.
How Do I connect to a Wireless Network in Windows 8/8.1? How do I connect to a Wireless Network on Windows 7? How to delete the Internet search history?